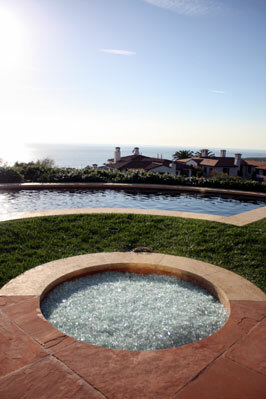 Great backyard by the way! 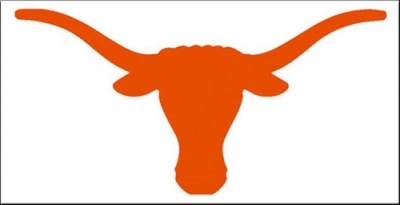 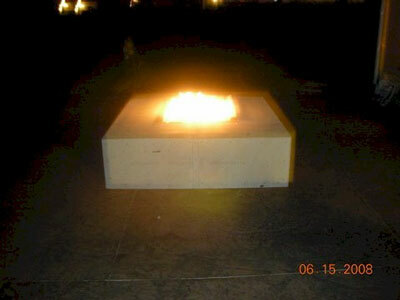 Chicago, remember? 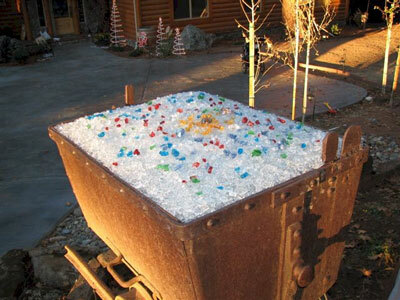 Crystals as our Toppers and Toppings. 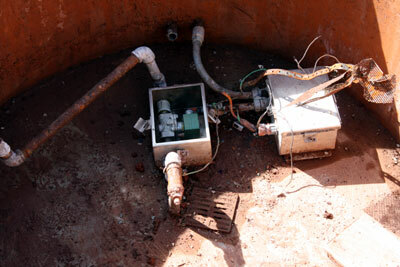 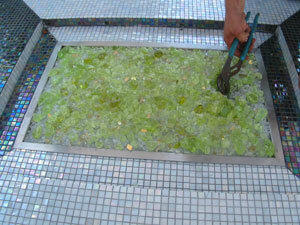 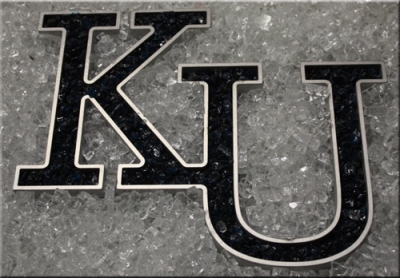 We don't use "Recycled" glass, ever! 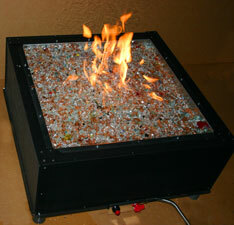 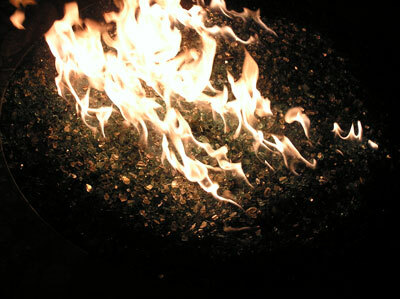 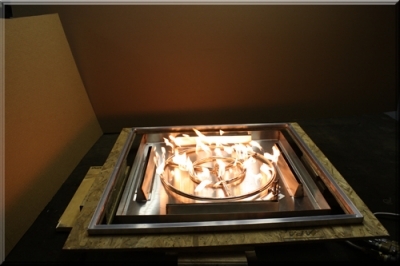 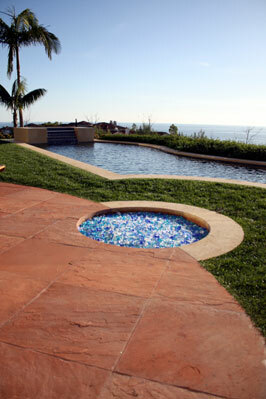 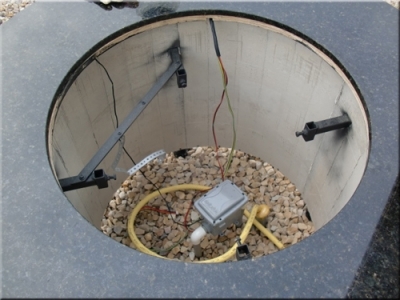 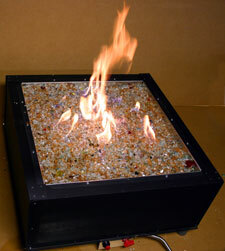 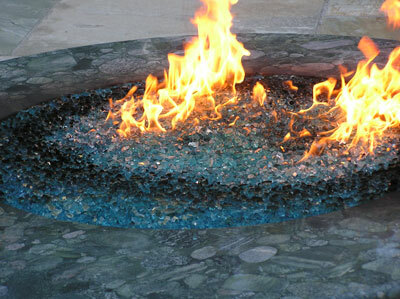 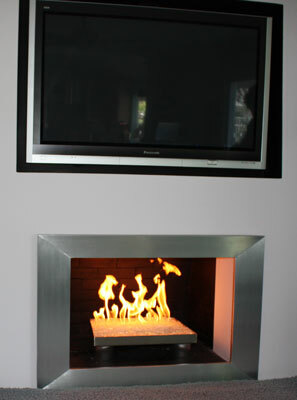 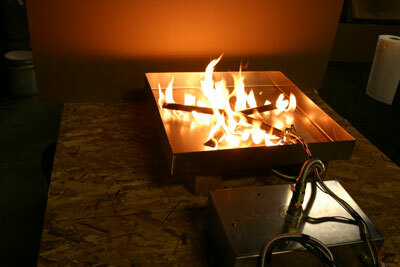 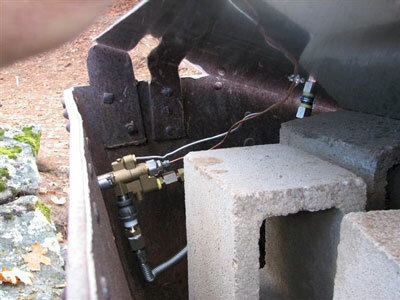 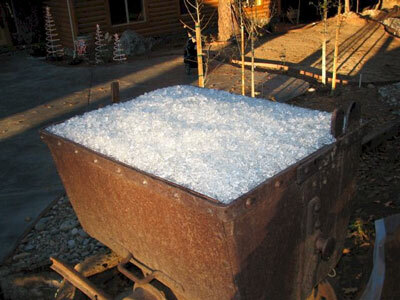 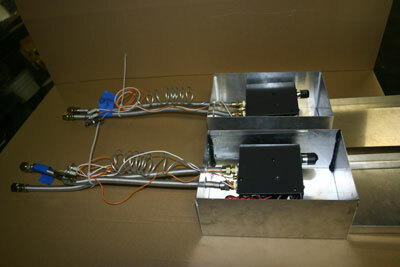 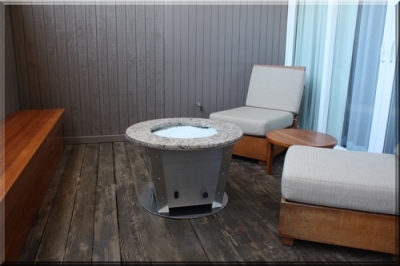 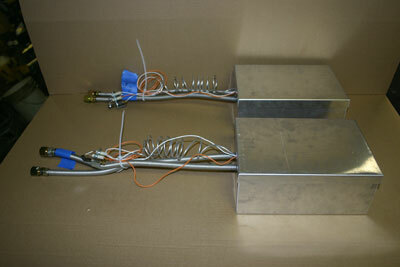 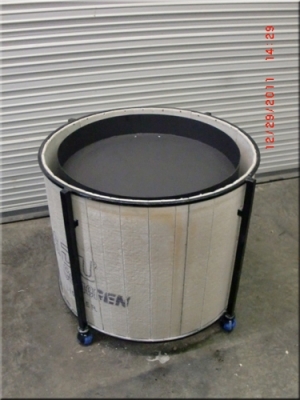 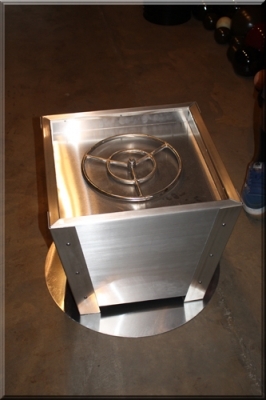 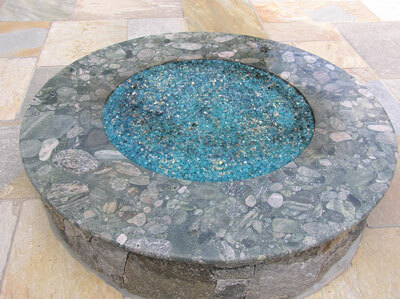 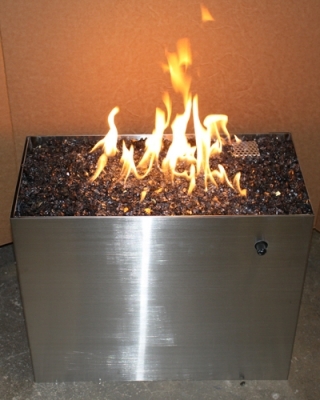 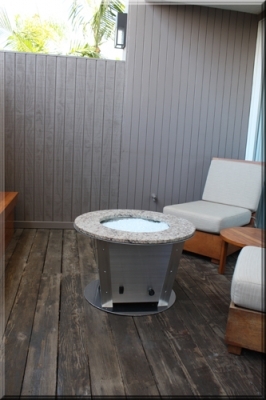 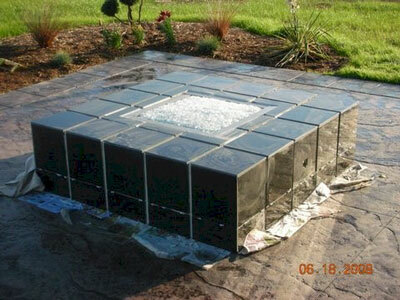 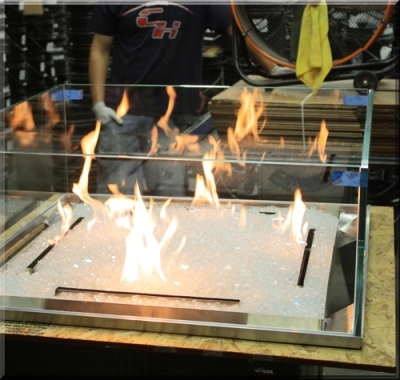 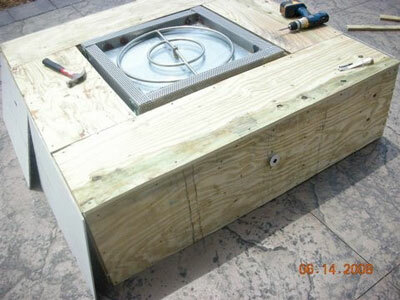 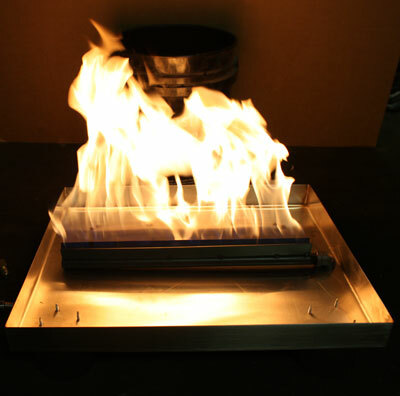 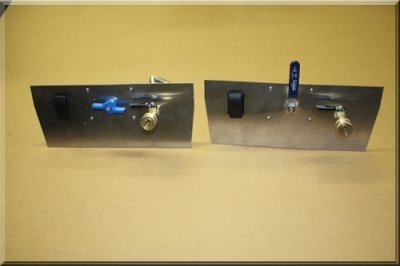 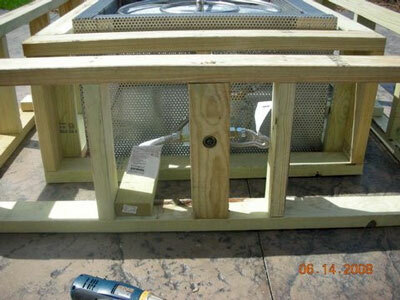 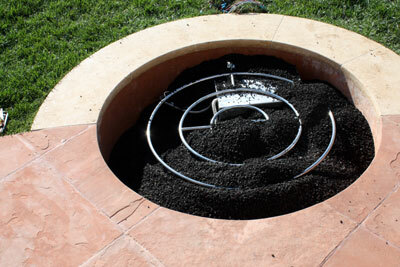 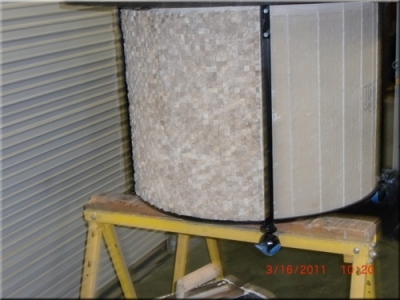 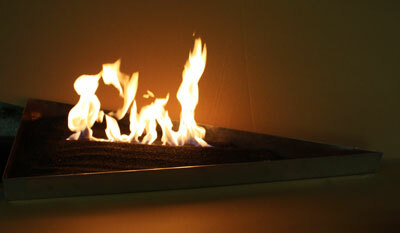 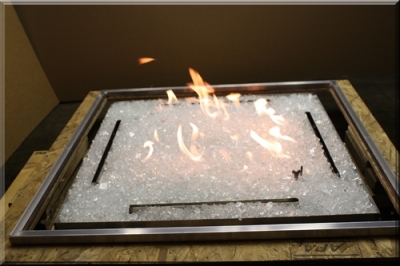 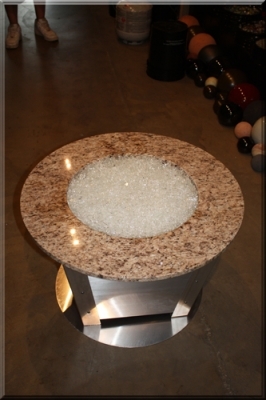 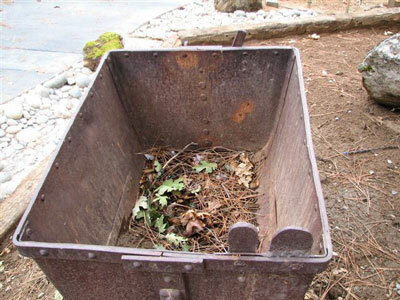 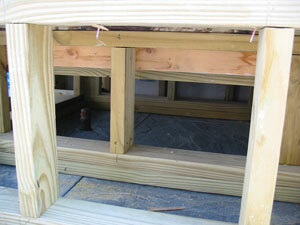 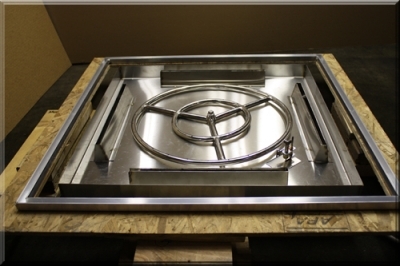 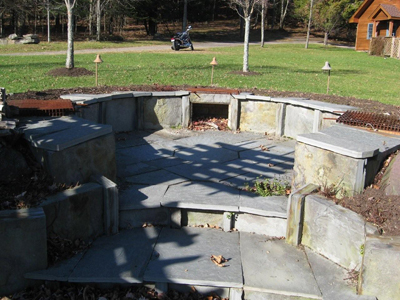 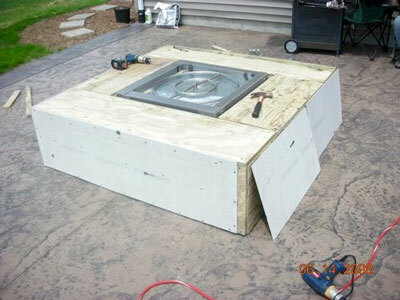 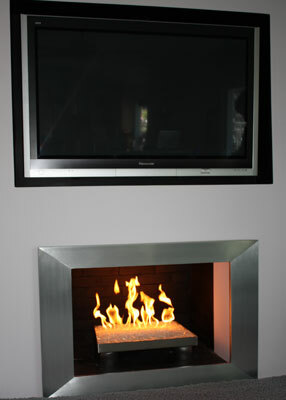 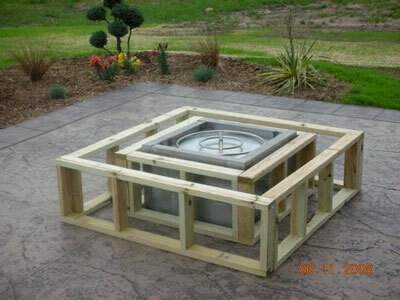 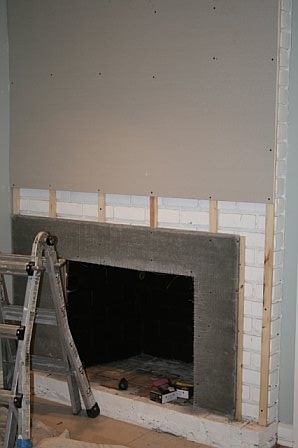 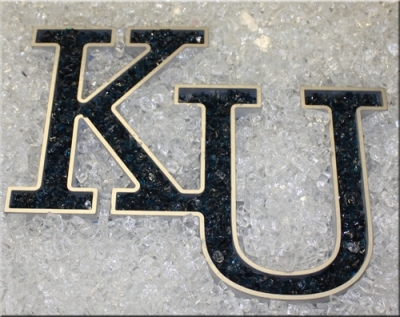 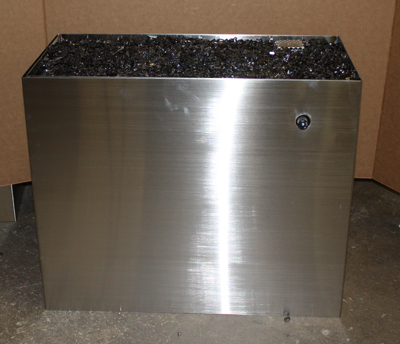 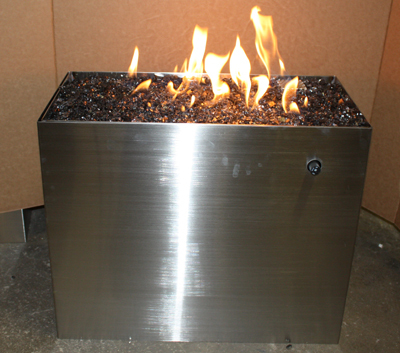 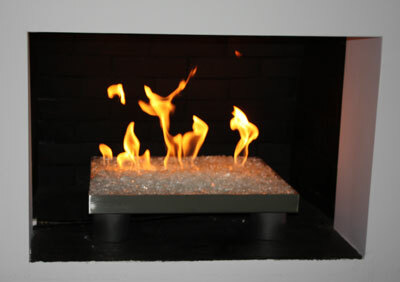 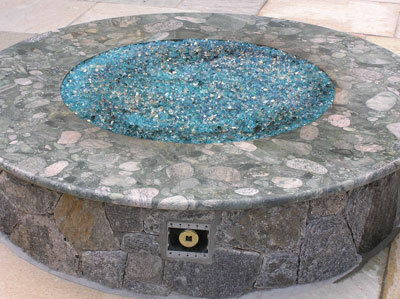 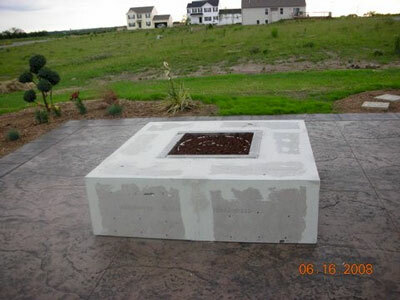 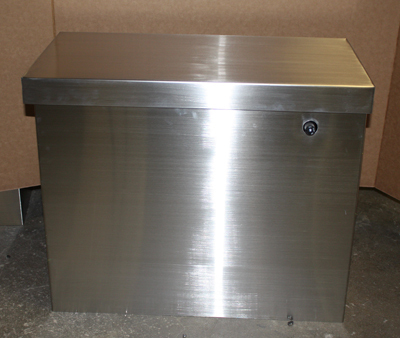 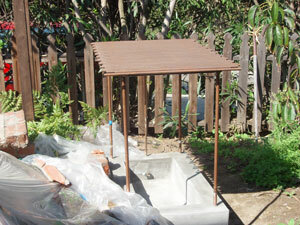 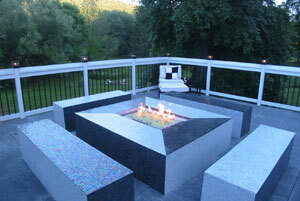 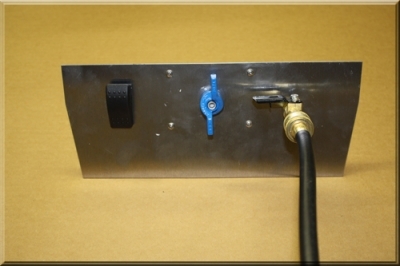 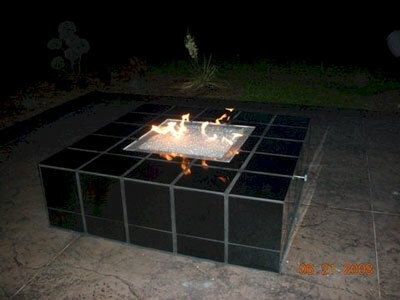 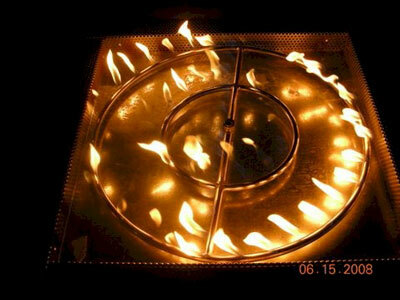 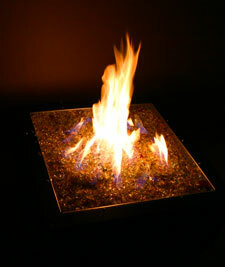 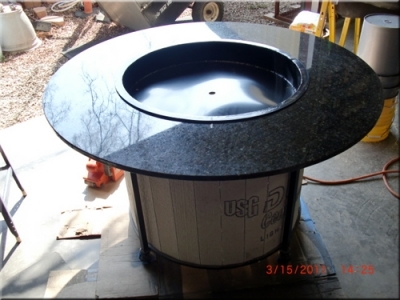 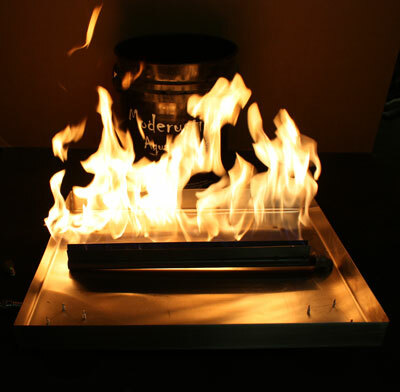 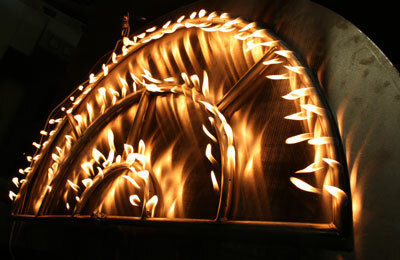 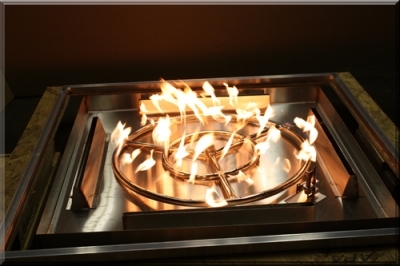 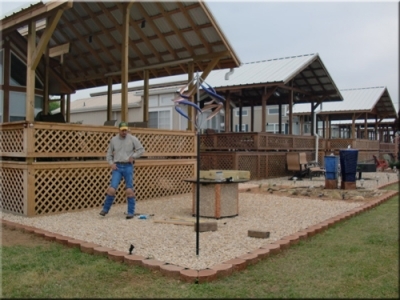 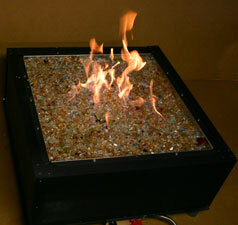 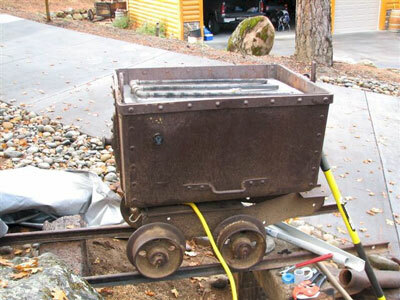 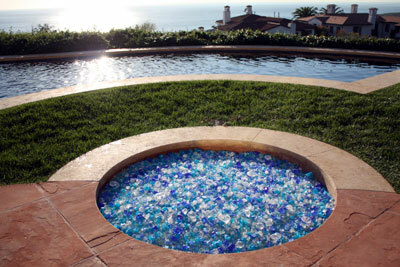 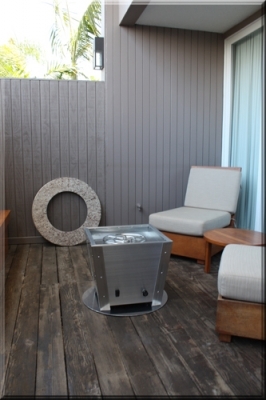 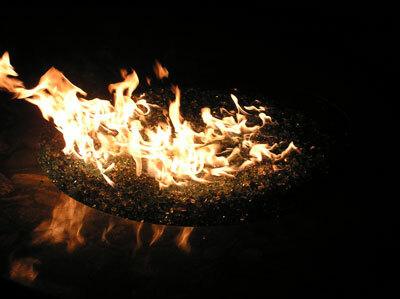 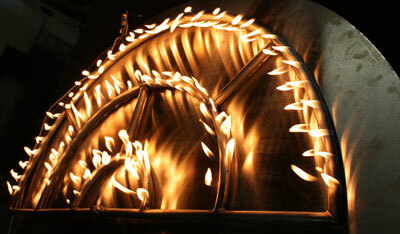 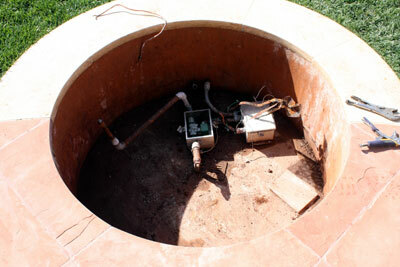 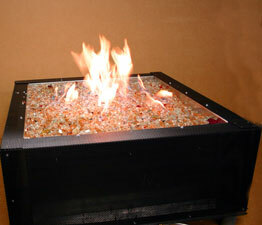 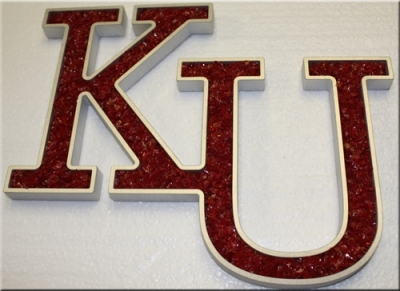 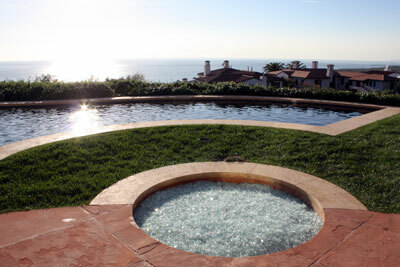 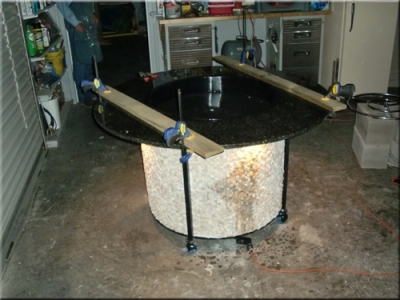 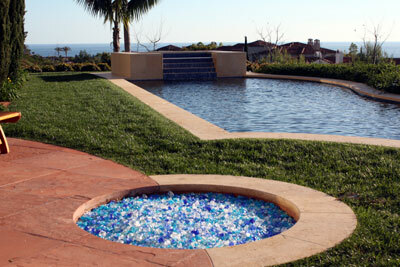 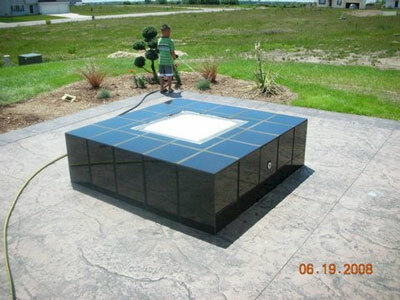 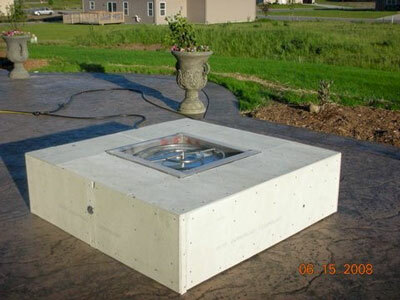 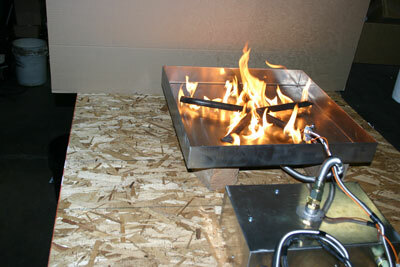 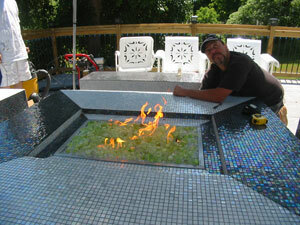 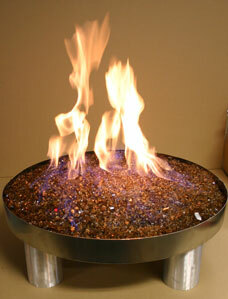 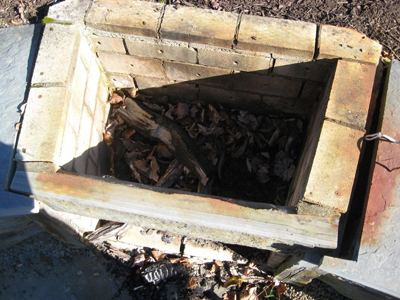 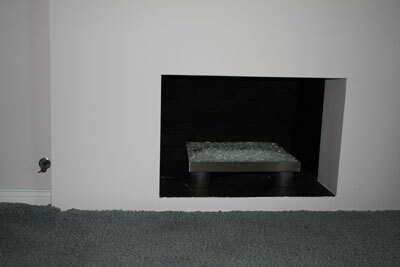 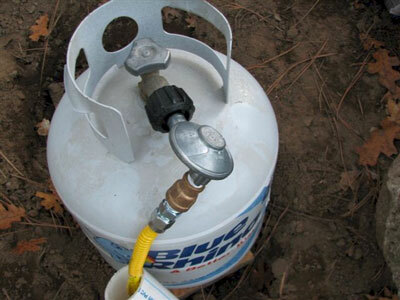 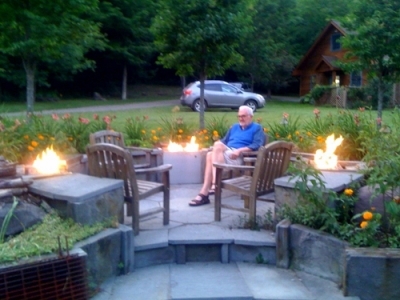 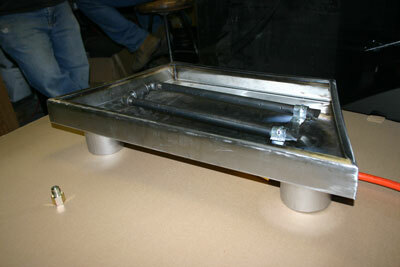 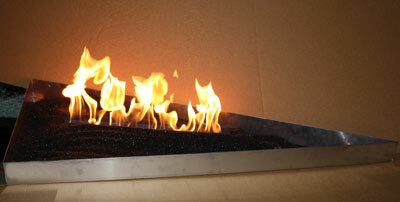 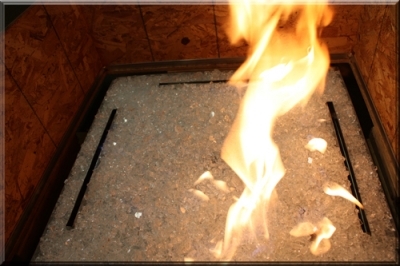 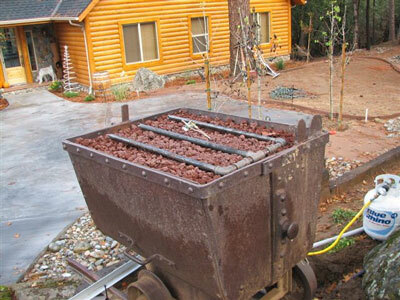 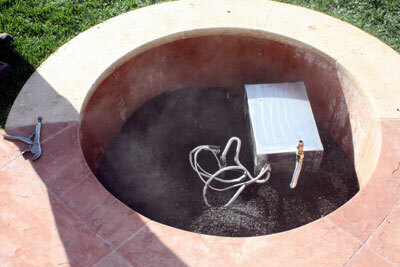 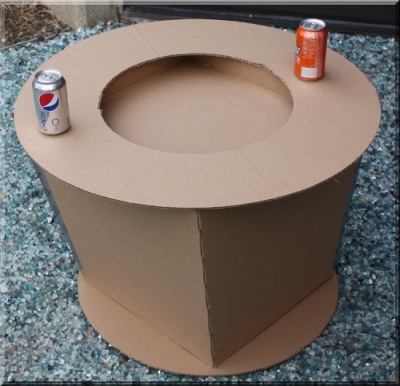 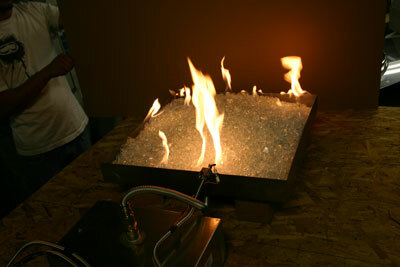 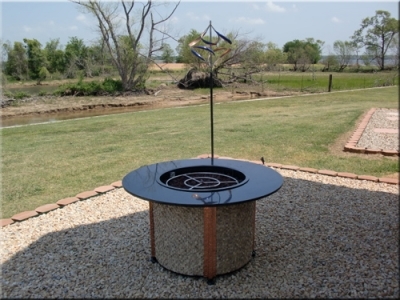 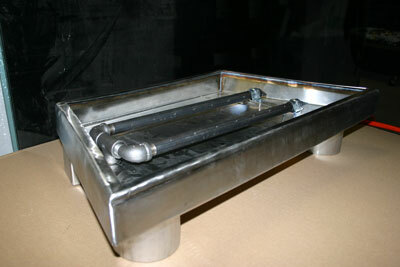 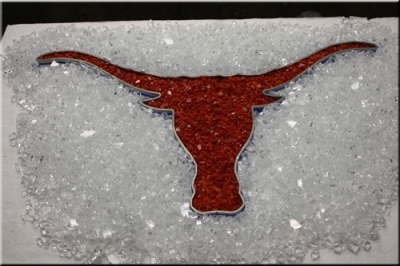 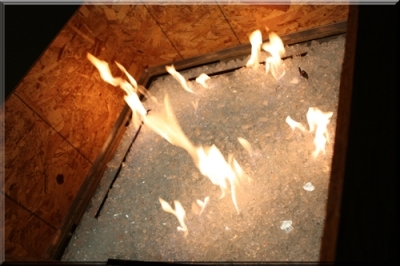 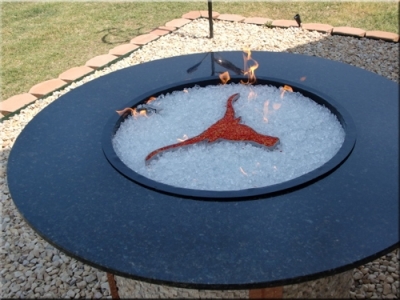 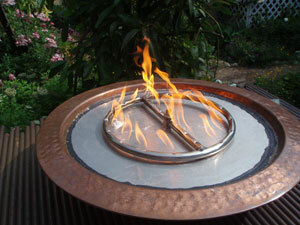 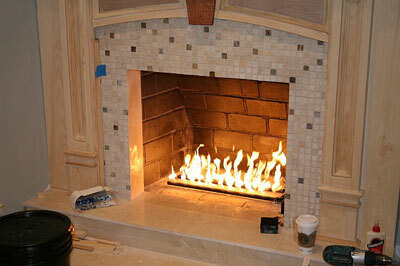 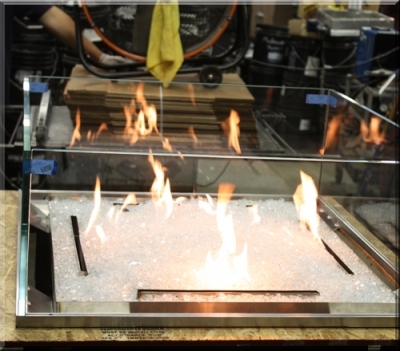 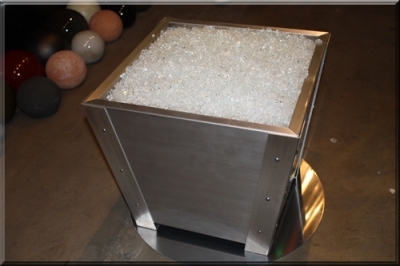 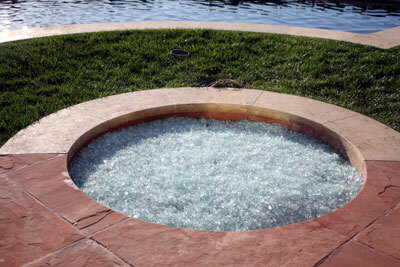 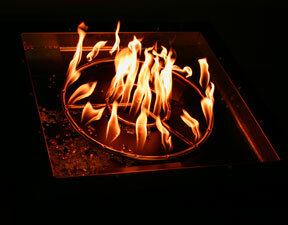 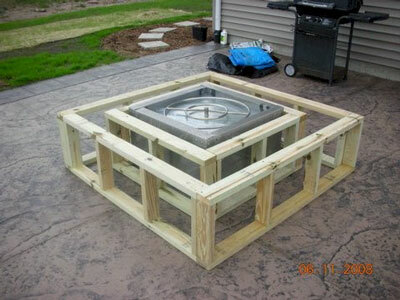 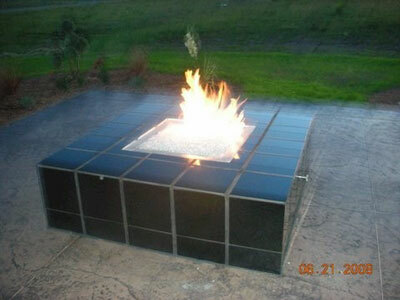 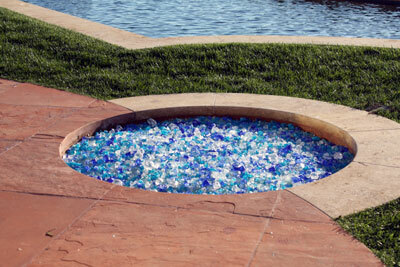 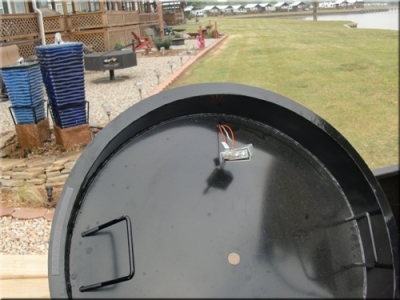 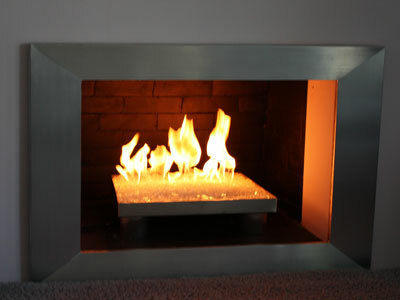 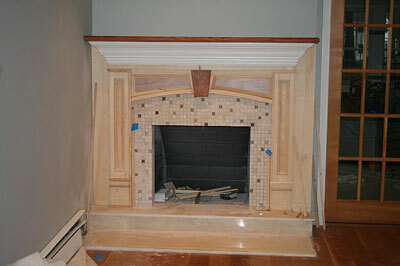 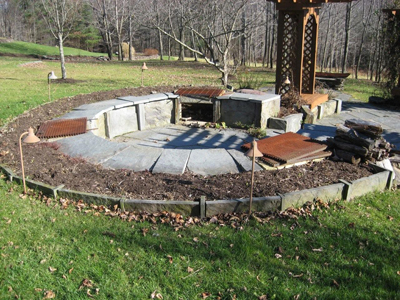 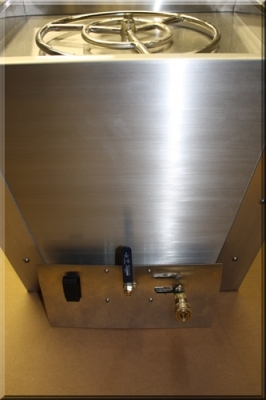 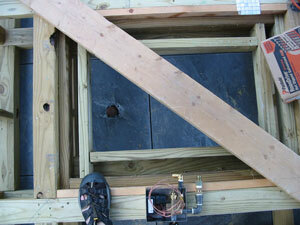 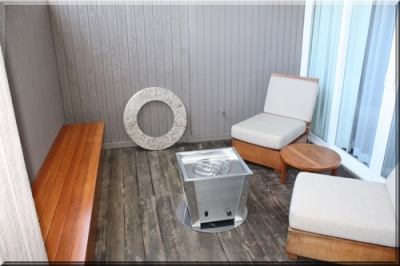 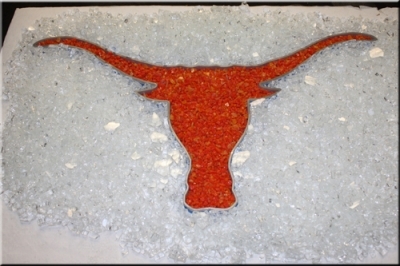 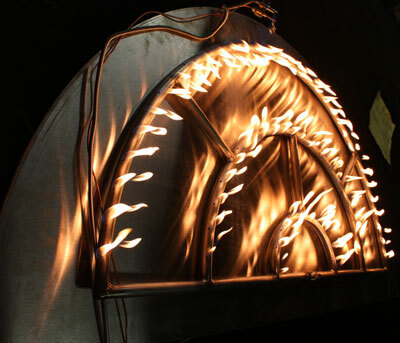 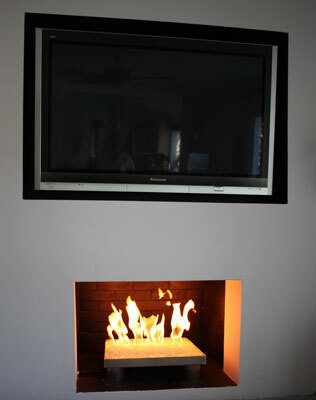 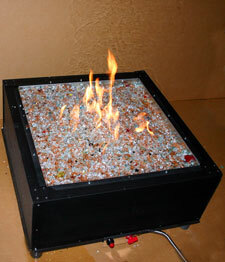 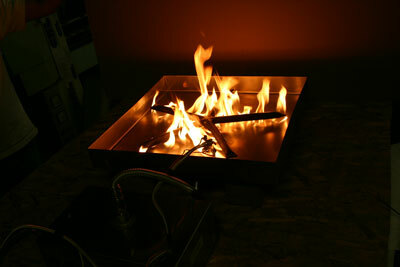 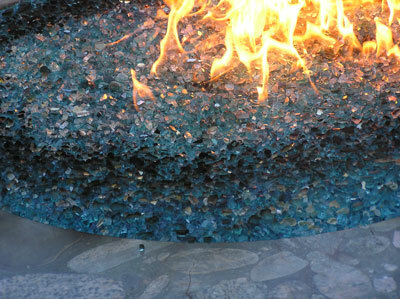 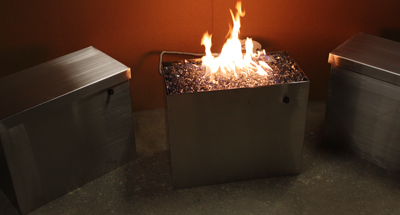 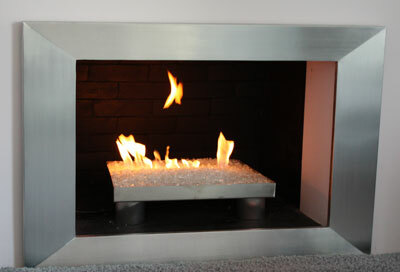 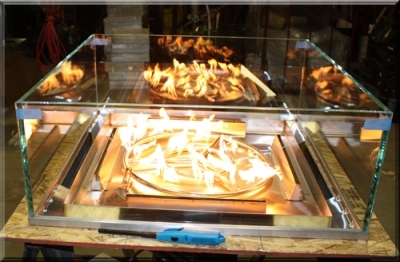 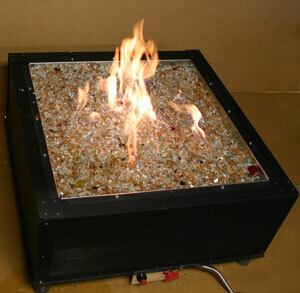 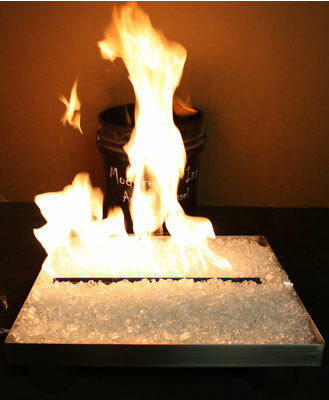 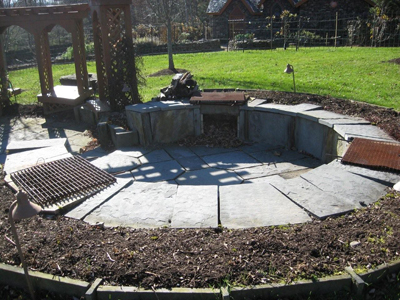 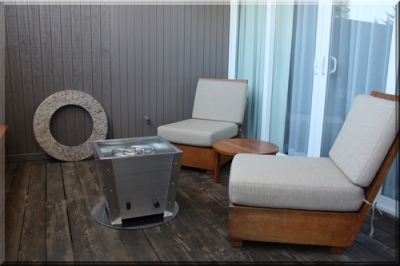 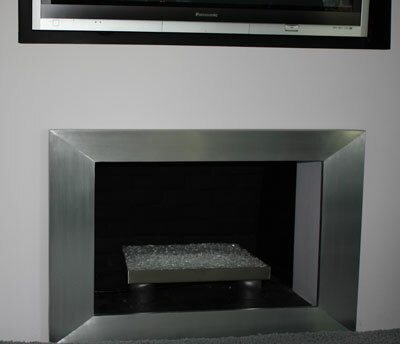 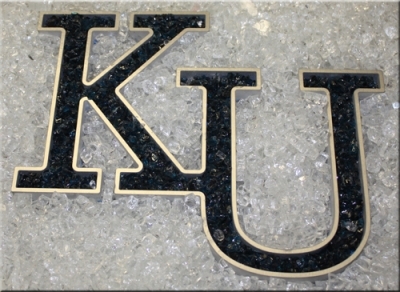 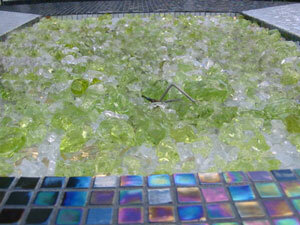 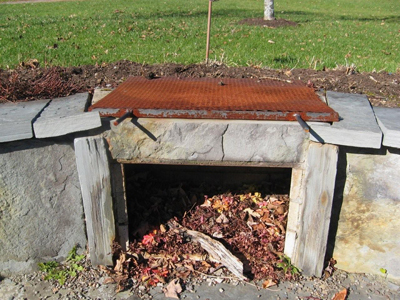 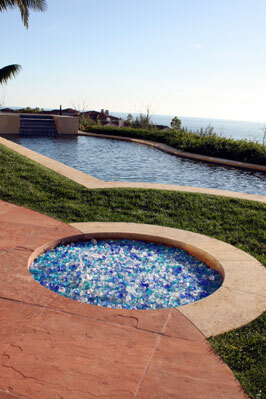 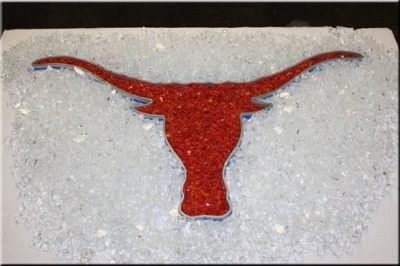 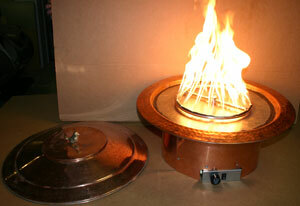 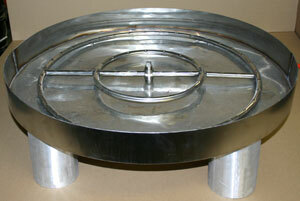 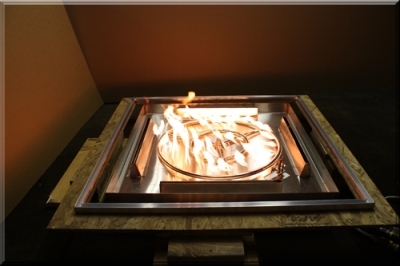 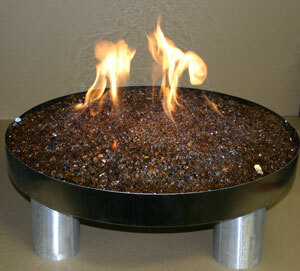 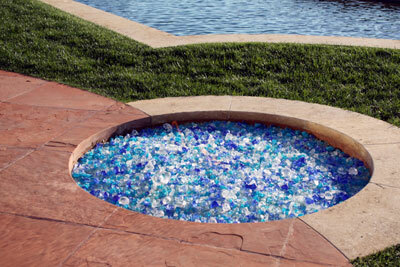 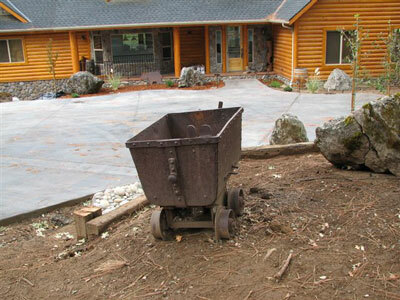 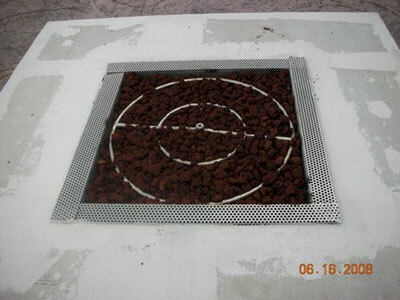 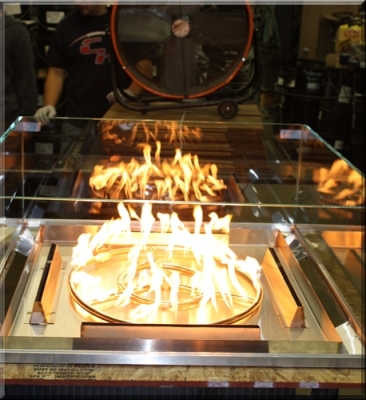 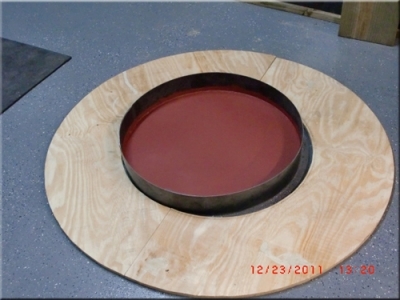 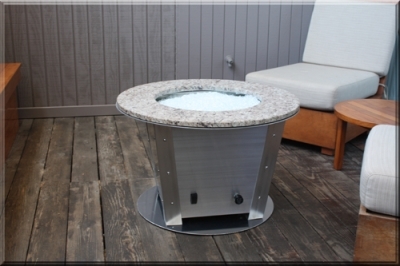 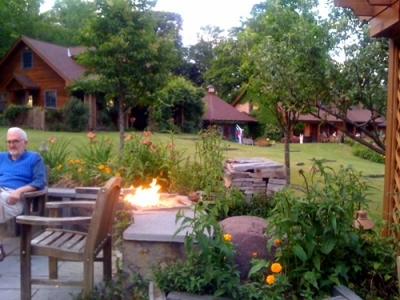 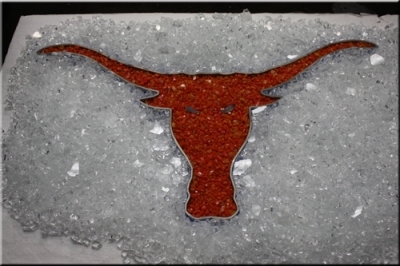 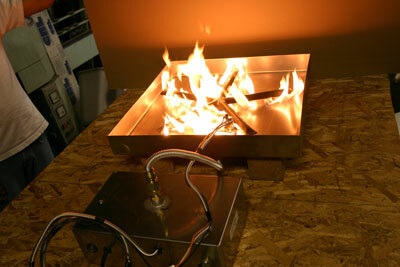 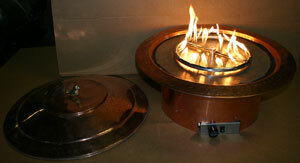 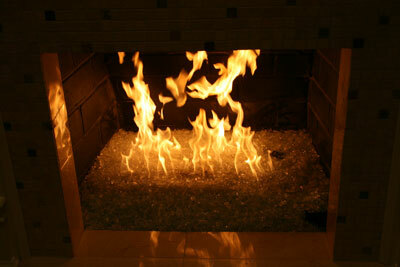 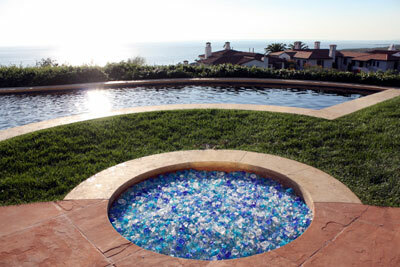 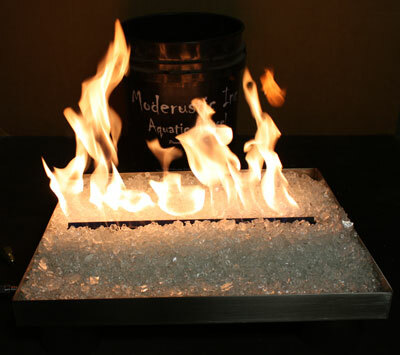 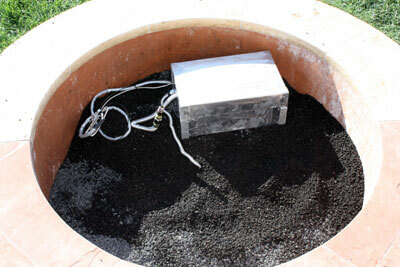 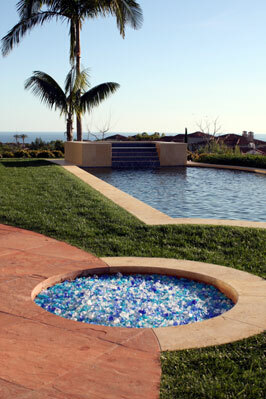 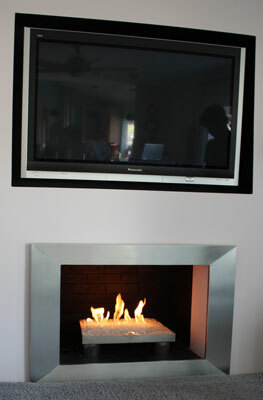 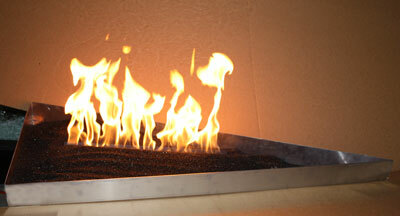 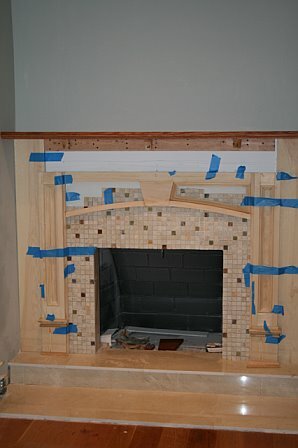 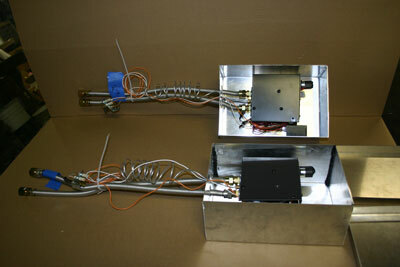 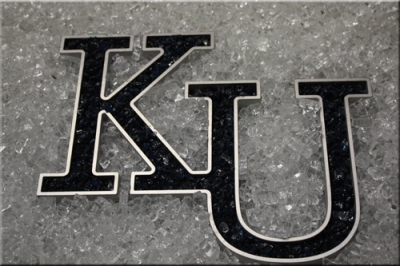 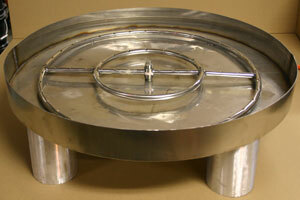 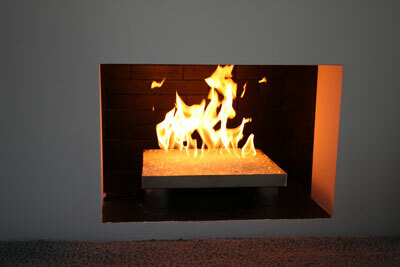 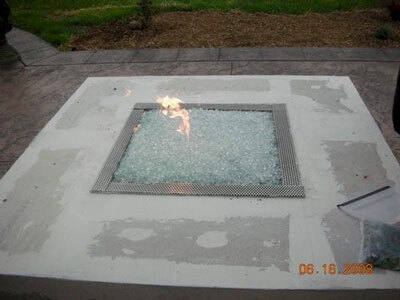 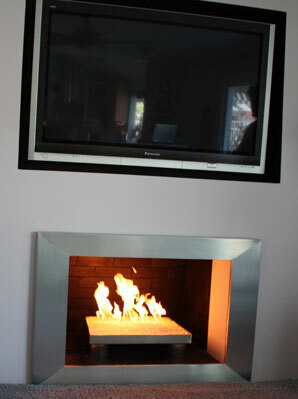 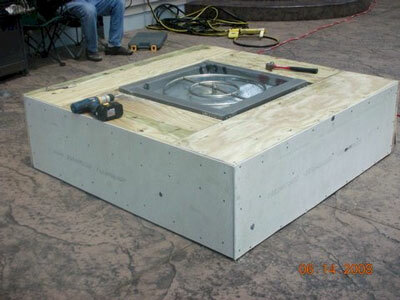 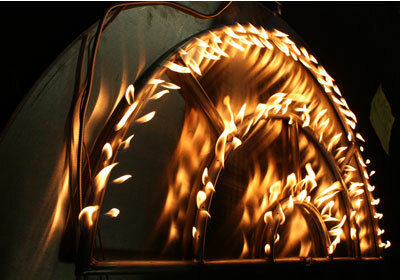 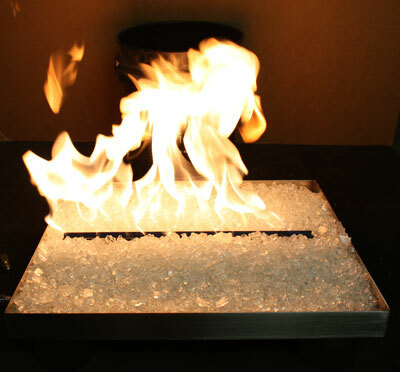 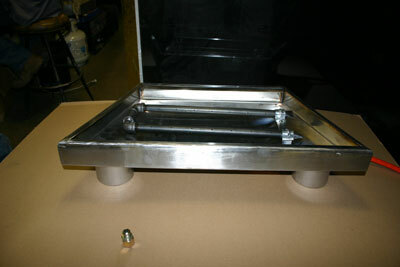 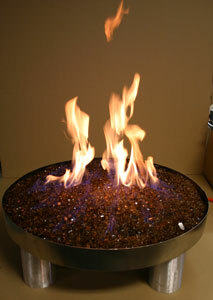 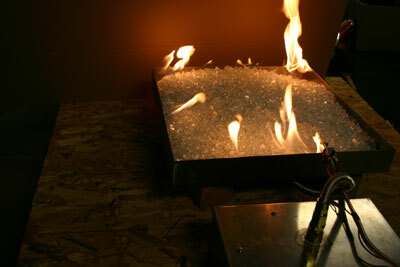 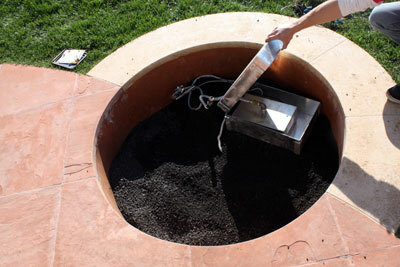 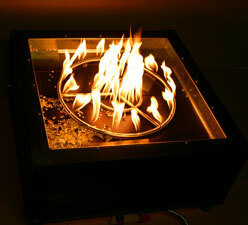 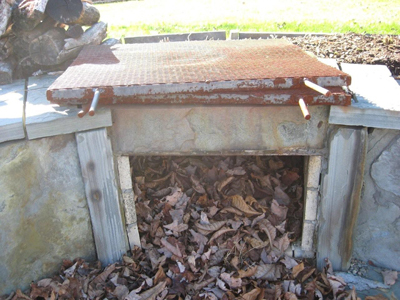 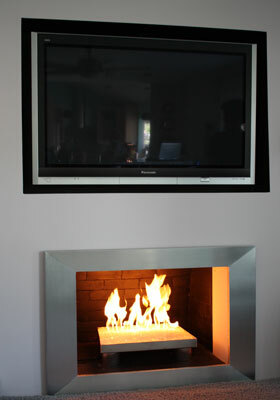 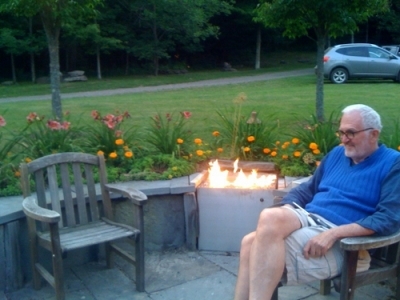 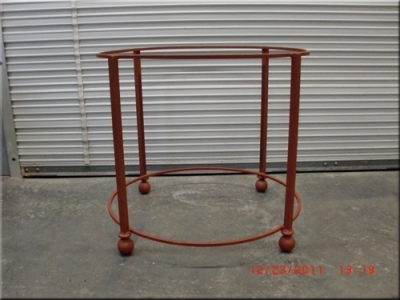 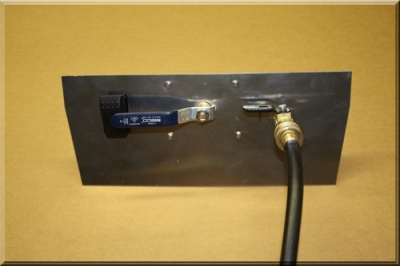 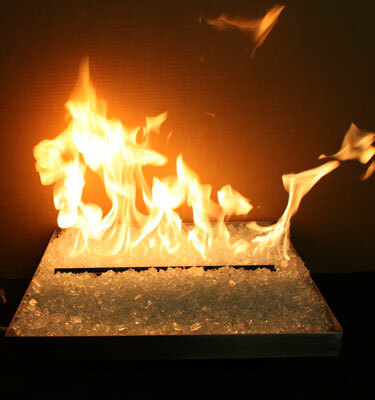 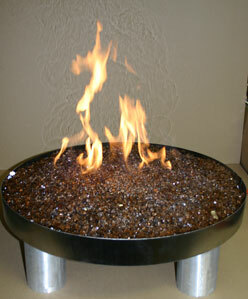 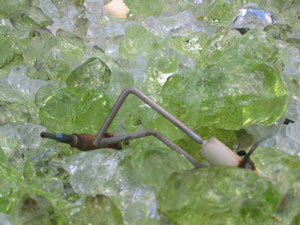 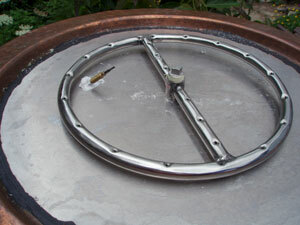 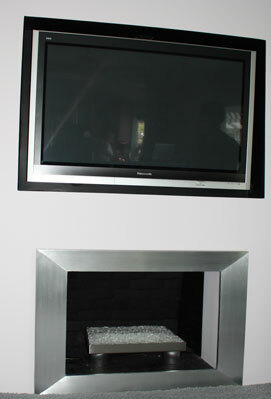 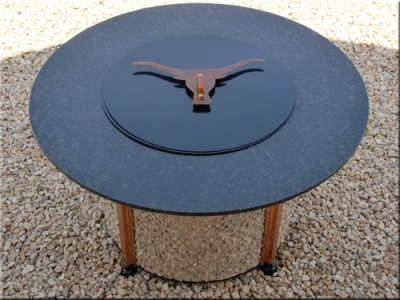 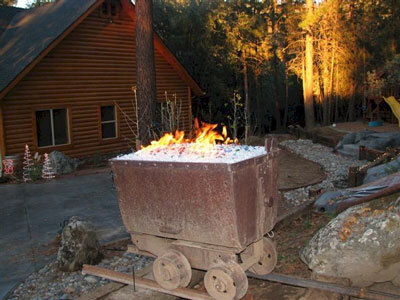 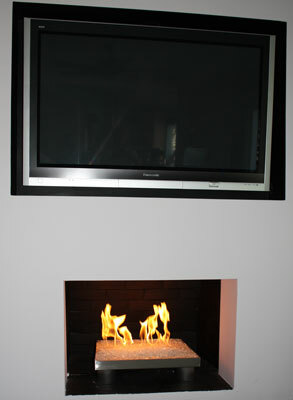 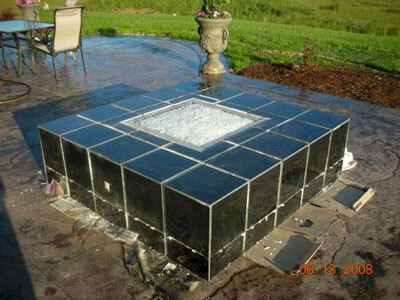 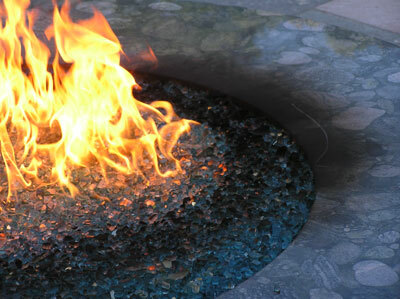 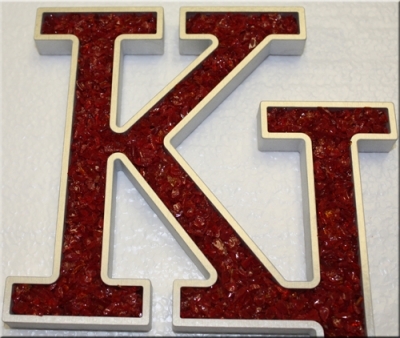 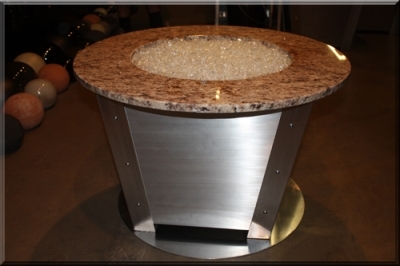 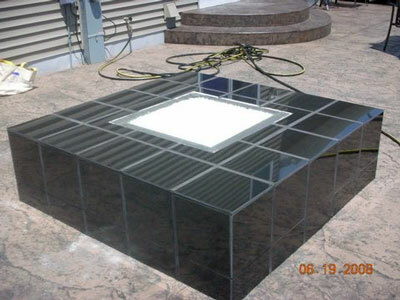 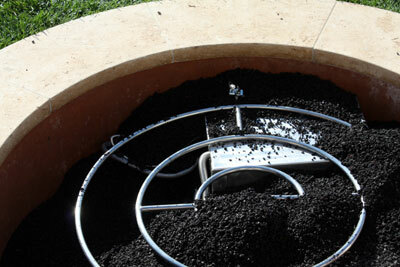 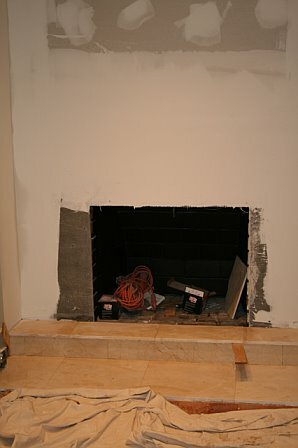 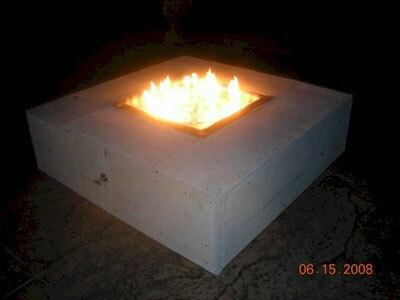 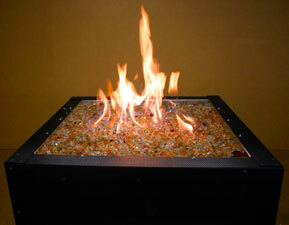 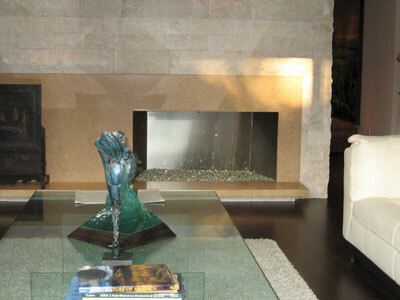 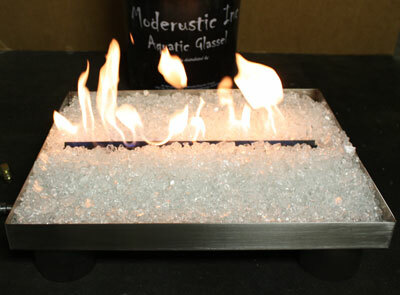 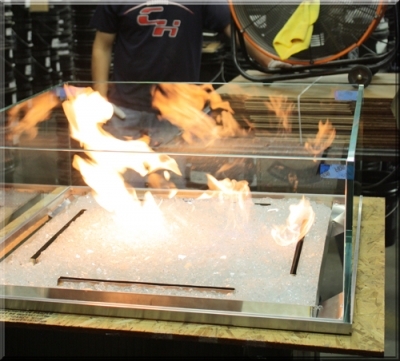 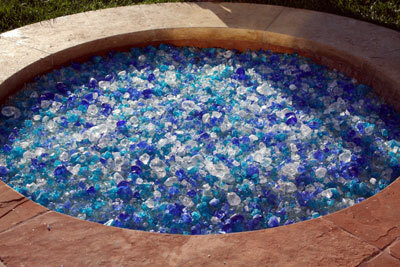 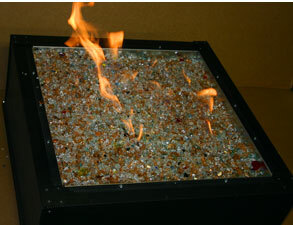 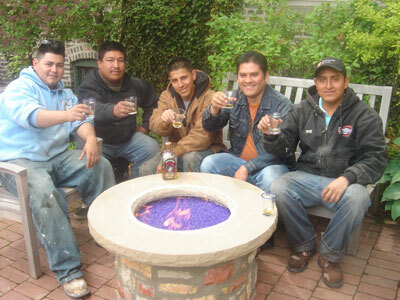 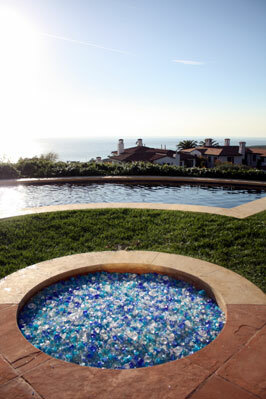 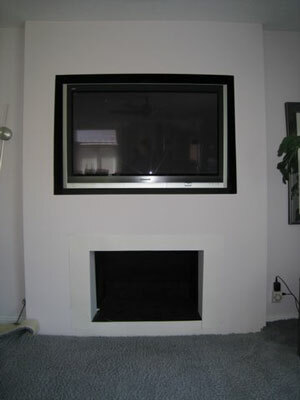 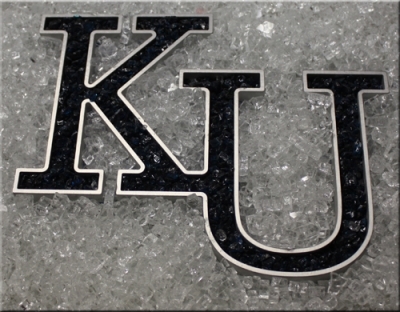 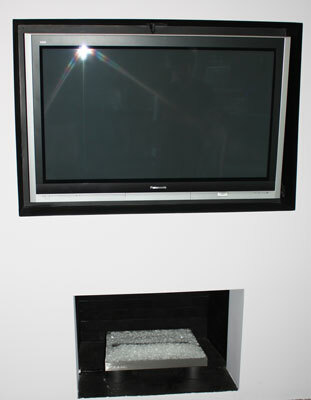 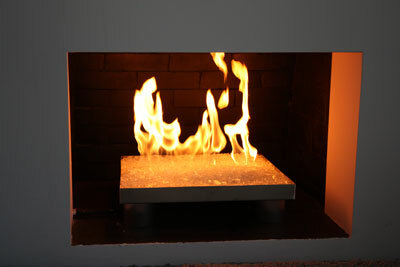 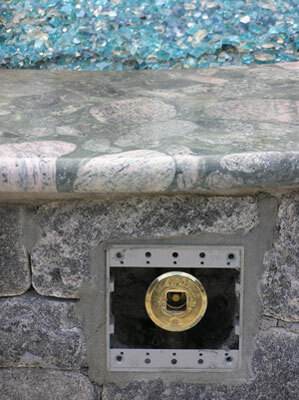 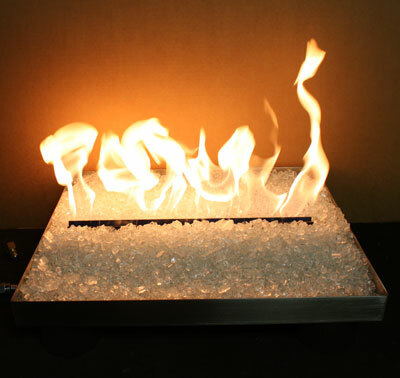 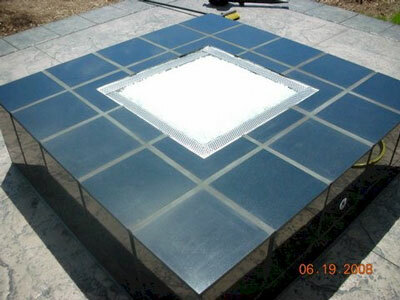 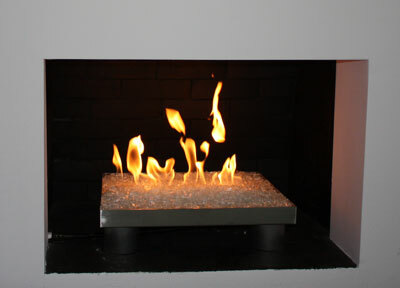 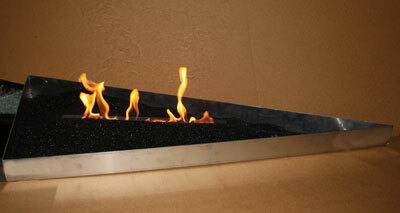 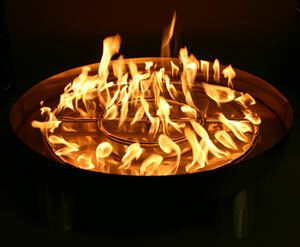 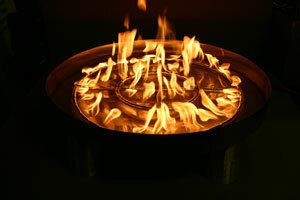 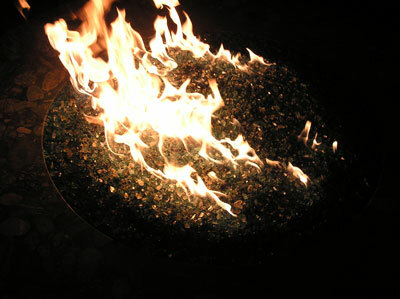 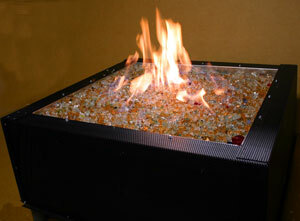 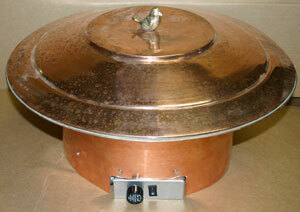 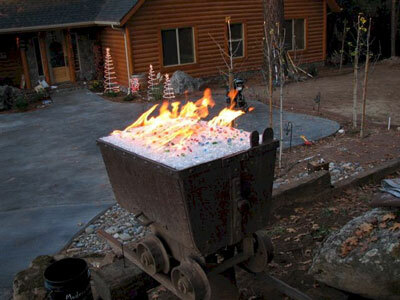 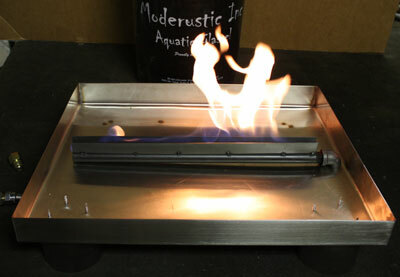 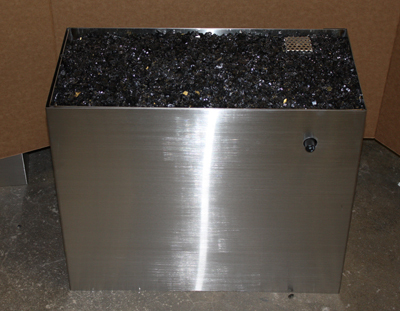 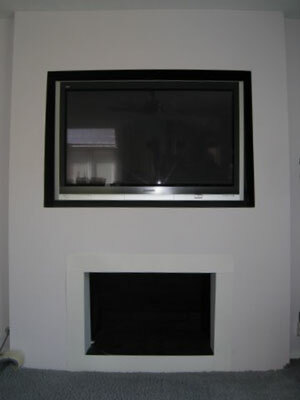 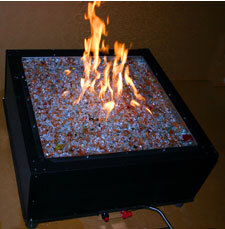 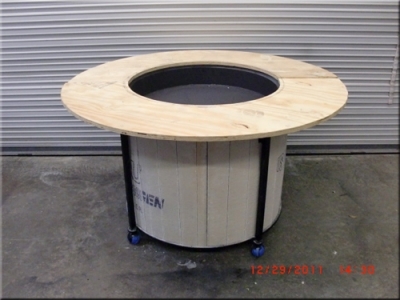 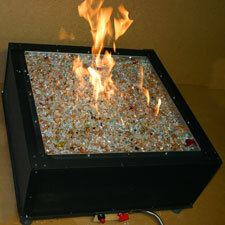 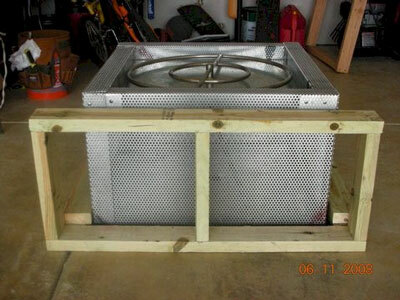 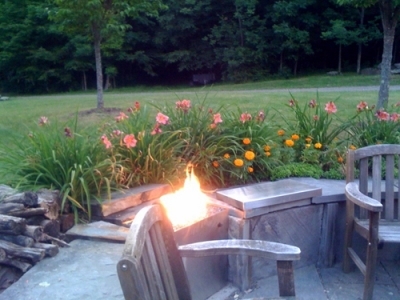 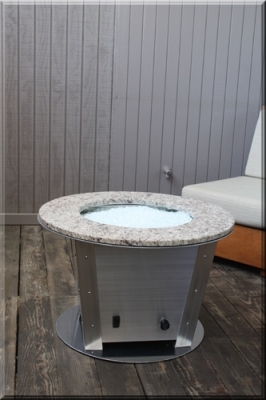 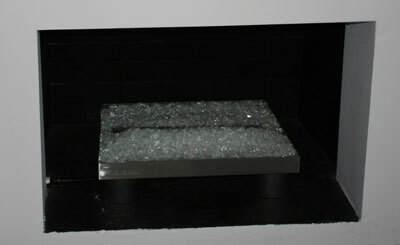 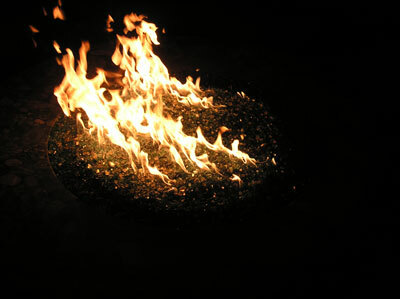 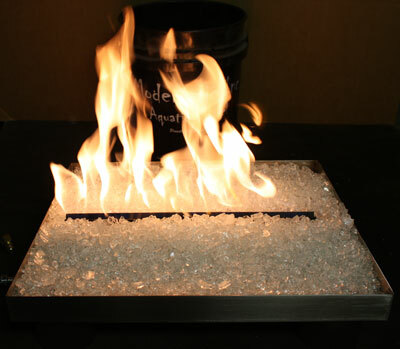 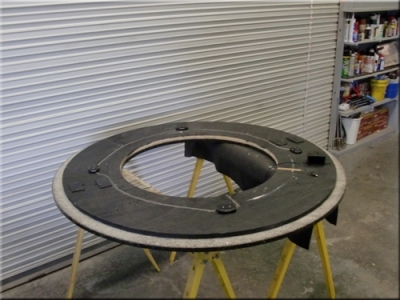 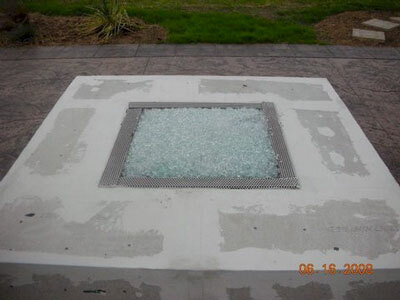 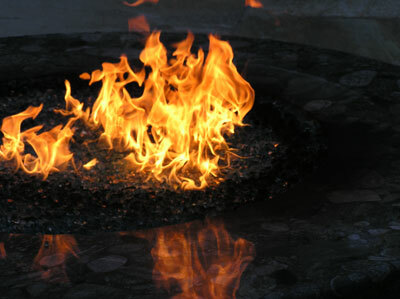 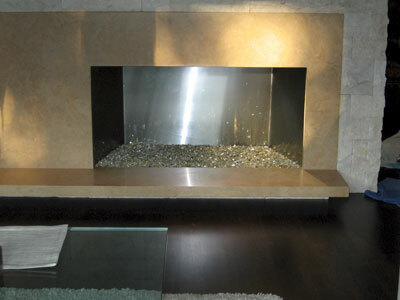 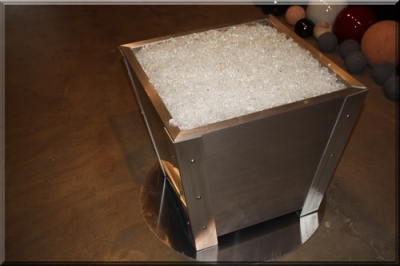 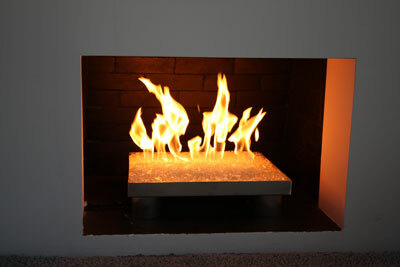 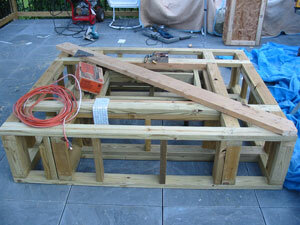 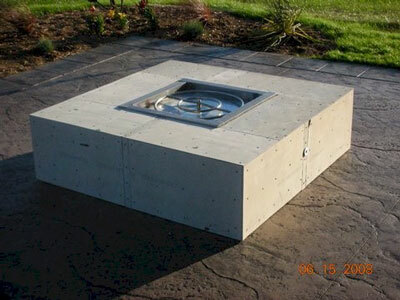 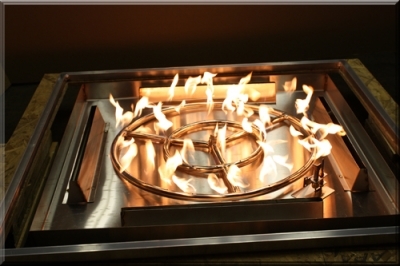 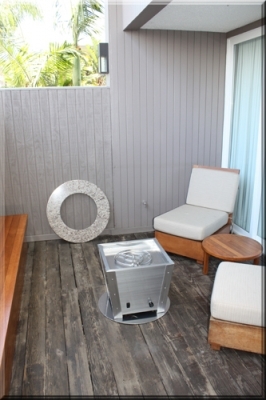 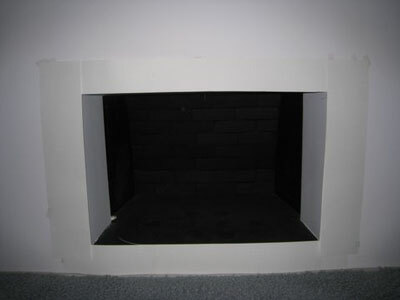 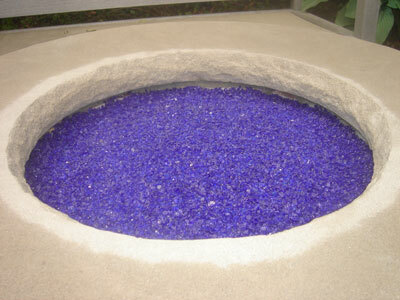 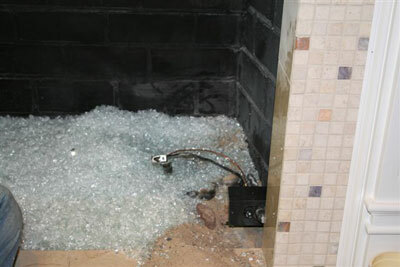 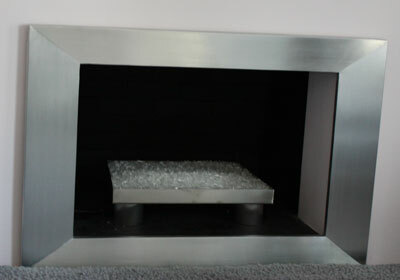 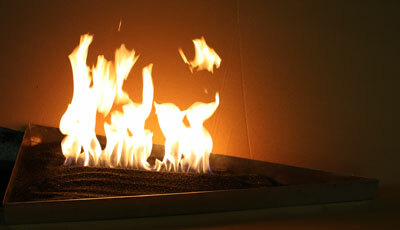 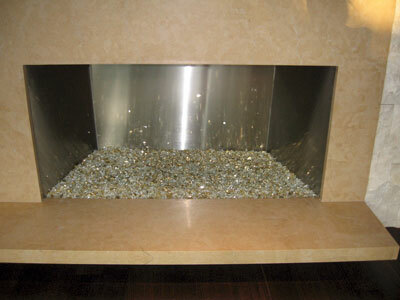 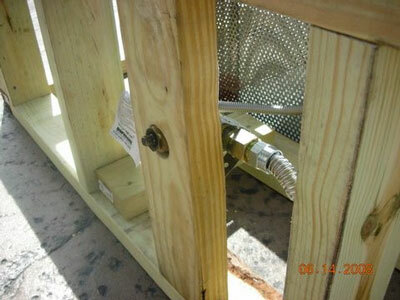 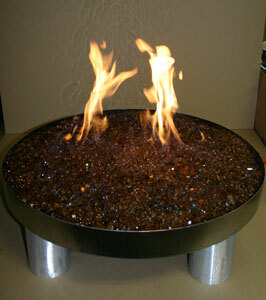 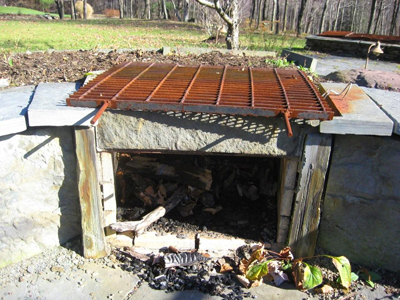 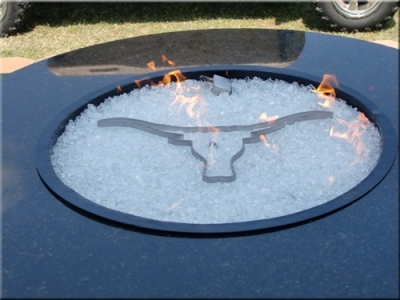 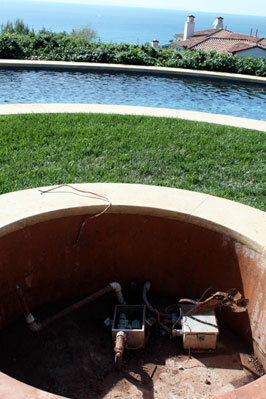 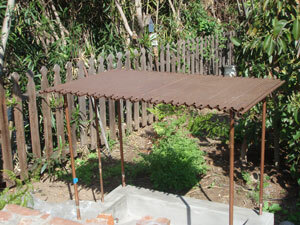 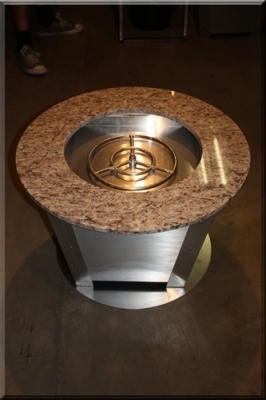 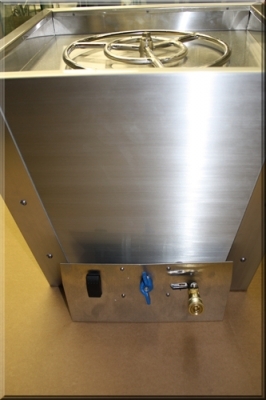 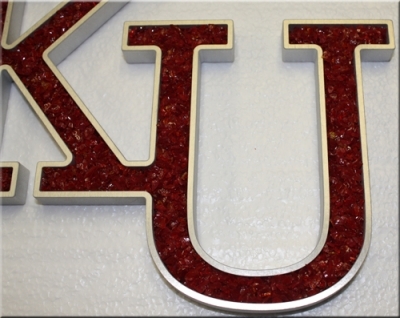 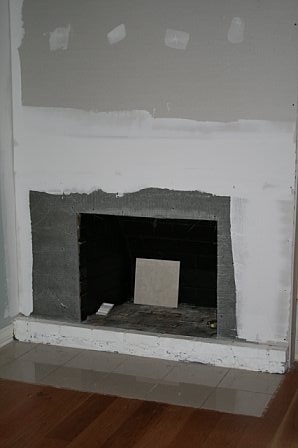 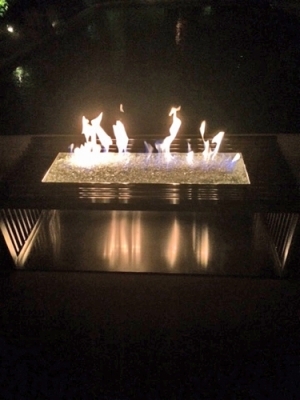 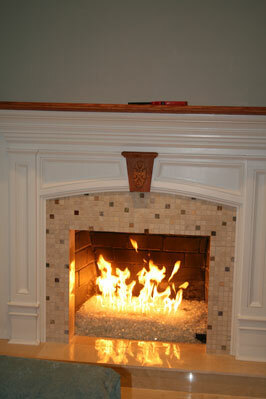 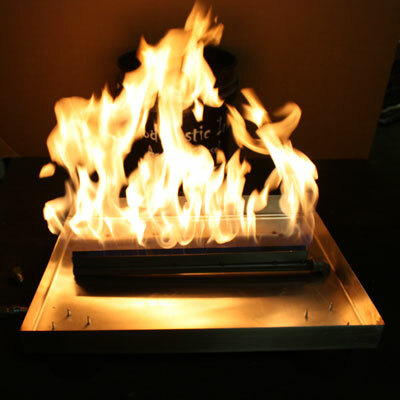 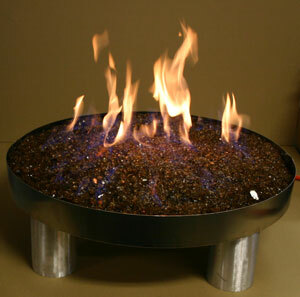 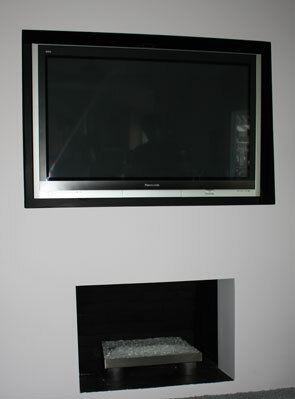 We are actually the only company that produces Crystalsfor fireplace and fire pits. 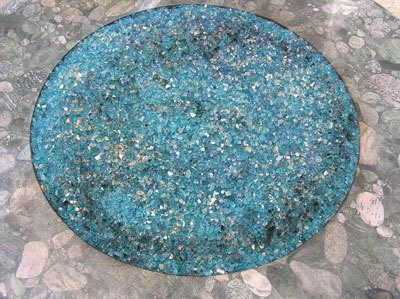 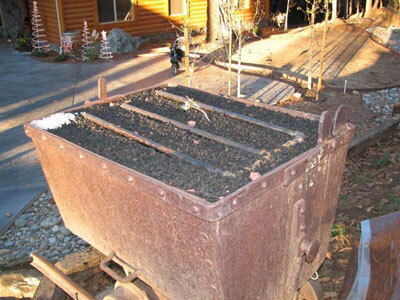 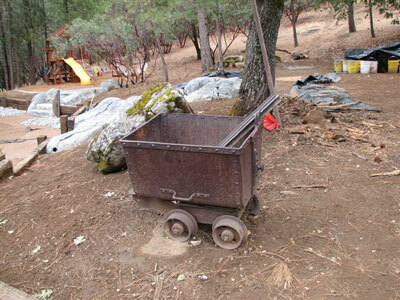 First issue: Don't use polished Mexican Pebbles as they will chase you across the yard, no really!